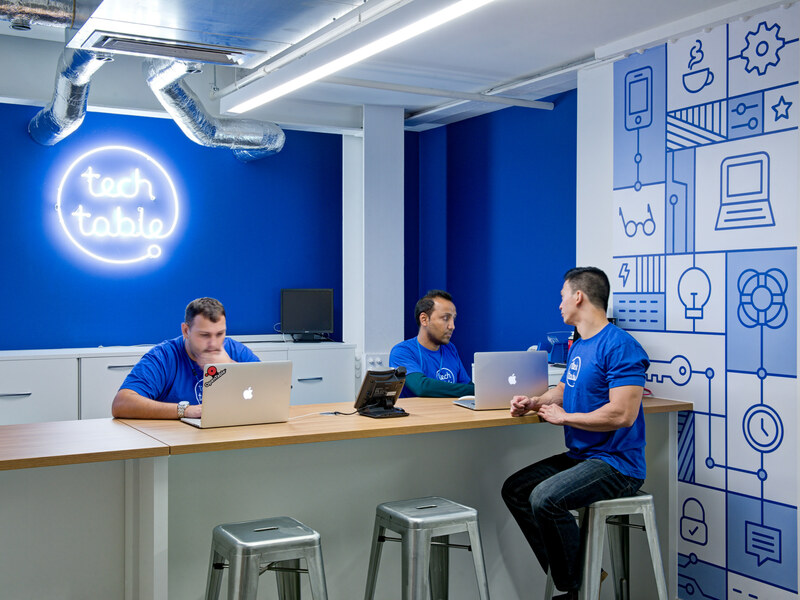 Having outgrown their existing space on Worship St, OpenTable relocated to Alphabeta on Finsbury Square. 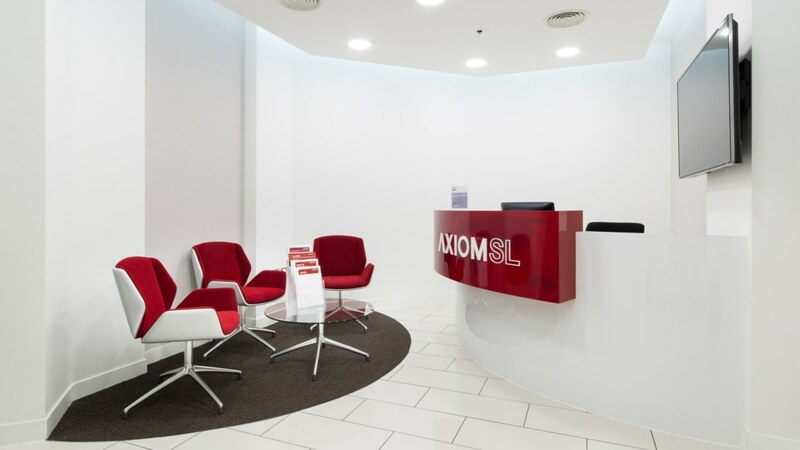 Their old offices were tired, outdated and no longer supported their day-to-day functions. 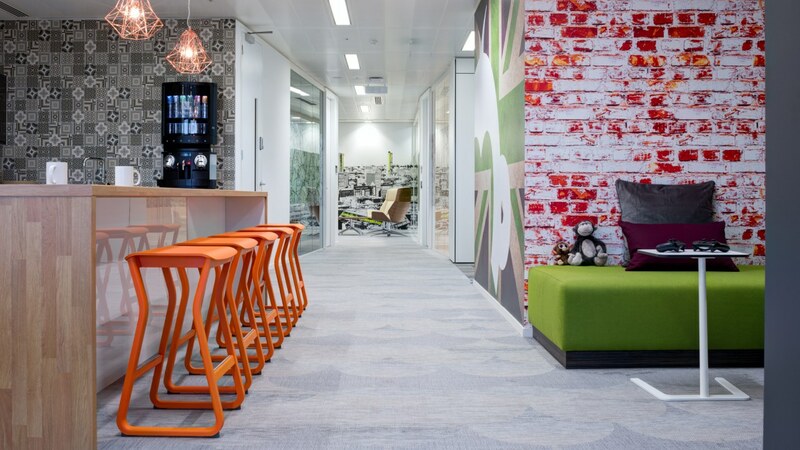 They wanted an environment which accommodated their daily operations and also reflected their open company culture. Working with their internal project team, our experts conducted several design development workshops to gain an understanding of what they wanted from their new space. 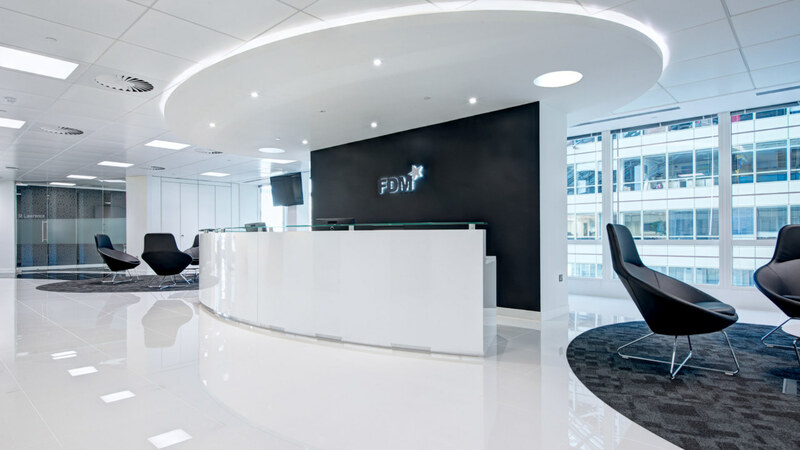 Our team worked with and coordinated several structural engineers to carry out this remarkable fit out. 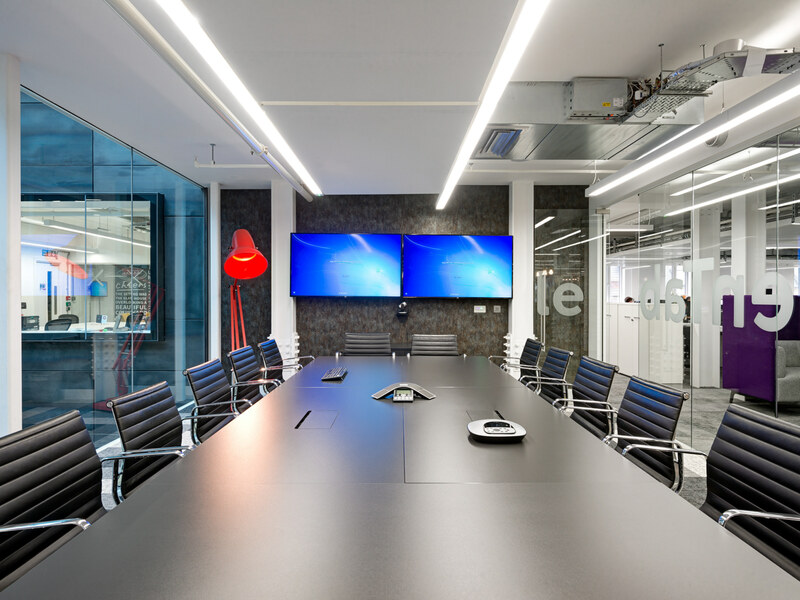 We took into consideration desk and space utilisation and the overall usage of certain areas to construct a design plan that best suited their company’s needs. The interior design and finishes in the build are remarkable. Our designer used a complex colour palette of oranges, reds, blues and bold tones to subtly incorporate their branding. 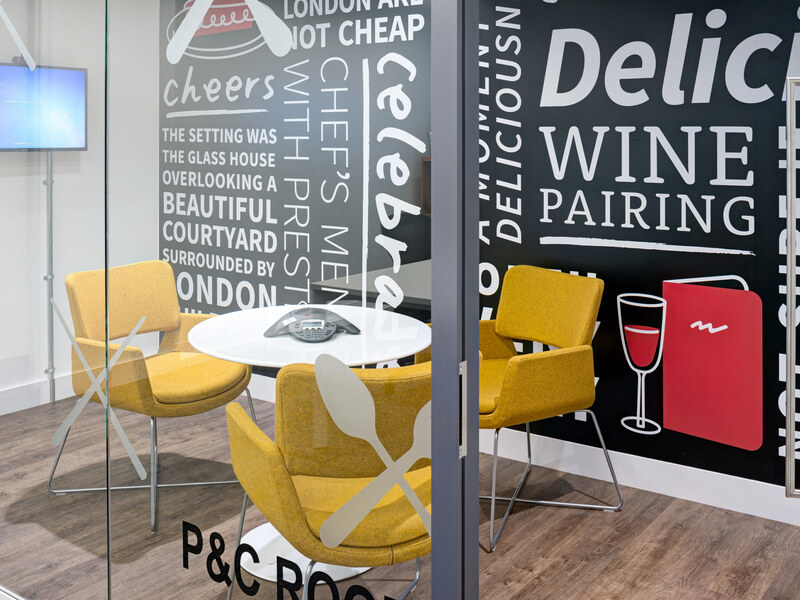 As OpenTable wanted each meeting room to have its own identity, our designer broke the design process down to micro level to achieve the impressive overall aesthetic. Each room has special furniture choices, unique floor coverings and distinctive feature lighting. 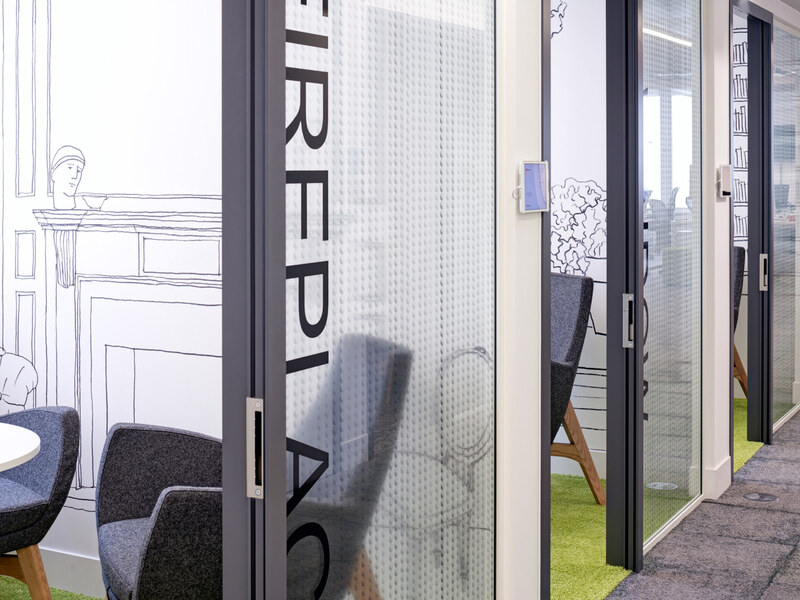 The timescale of this fit out was somewhat challenging as the completion of the Alphabeta building was delayed several times, further compromising an already tight timescale. However, with dedication, perseverance and clever scheduling our experts surpassed the usual design and build approach and delivered the project on time. 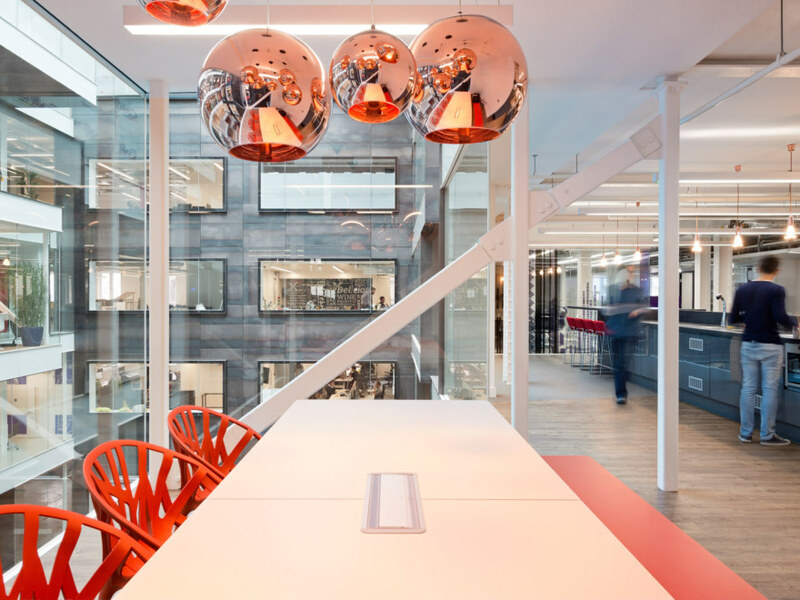 Through clever spatial planning, detailed office fit out studies and remarkable interior design we have created an engaging environment that reflects OpenTable’s open culture and completely supports their needs as a fast-growing company. The new space consists of a spectrum of rooms, in terms of their size, look and function. 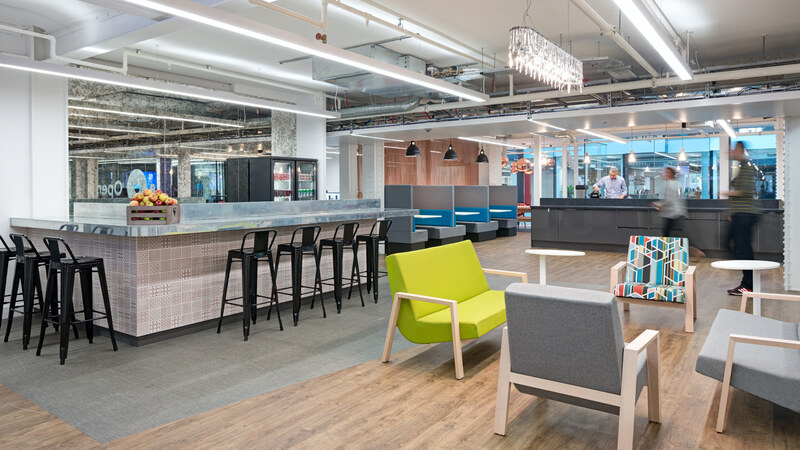 We created a large communal area with unlimited flexibility to allow employees to work, eat, meet and socialise. 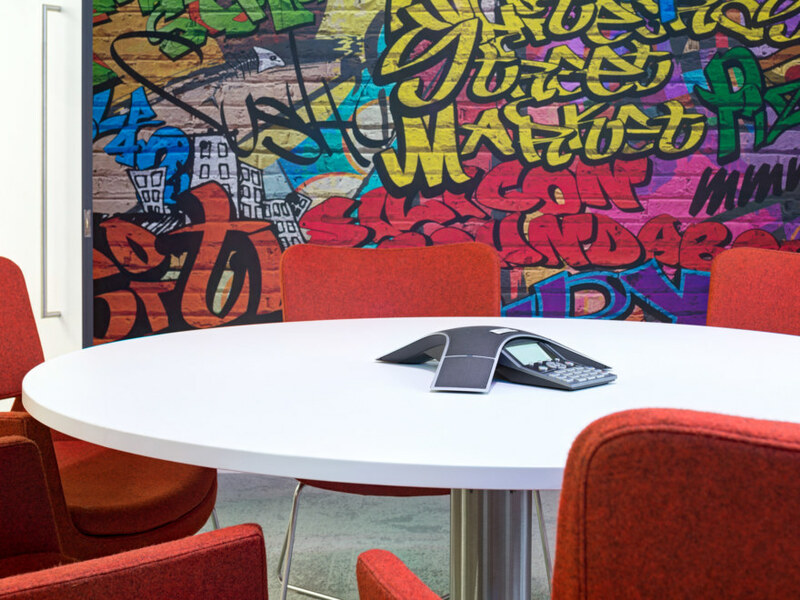 We provided a variety of meeting rooms and phone booths with varying degrees of acoustic-masking to allow employees to work in a more focussed environment when needed. Send us your project requirements.